If you were at the Millennium Centre on Sunday, you were either seated in a chair, standing on your feet or crowded on the floor blocking the aisle in anticipation to see who the Bucs would be facing this week. 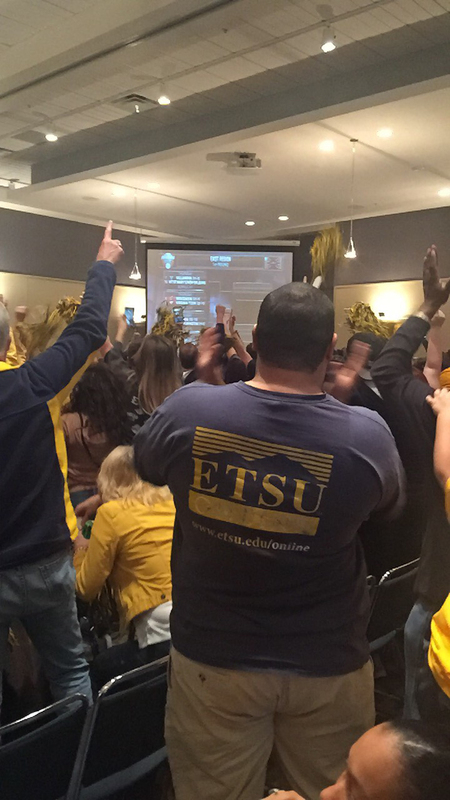 ETSU held a public watch party for the NCAA selection show on CBS in the Millennium Centre Sunday at 5 p.m.
After defeating UNC Greensboro on Monday, March 6, the ETSU men’s basketball team was named the Southern Conference champs and got an automatic bid to the NCAA tournament. The next step for the Bucs was to find out their first opponent. 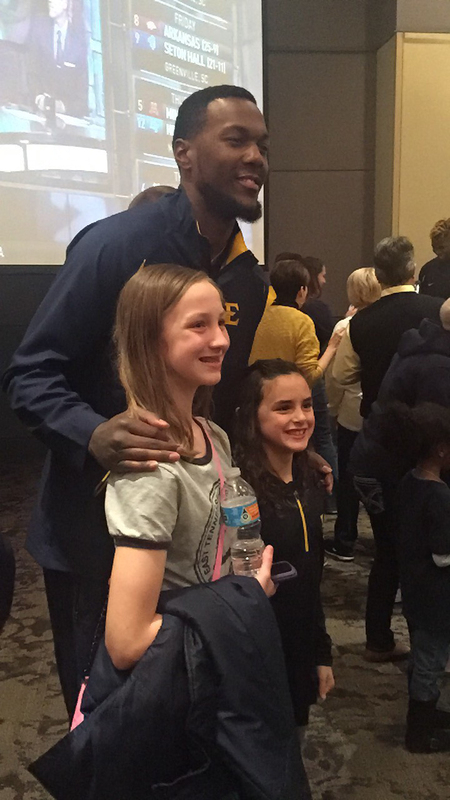 It was announced that the East Tennessee State University men’s basketball team (selected as No. 13 seed) will be facing the Florida Gators (selected as No. 4 seed) on Thursday in the first round of the 2017 NCAA Tournament. The game will be held in Orlando. The Bucs have an overall record of 27-7 and the Gators, 24-8. Prior to their conference tournaments, both teams have won eight games, with only two losses in their last 10 games.